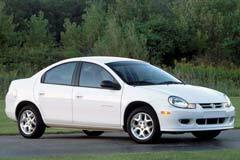 Dodge Neon is the sport compact car that took the world by storm. Introduced first in 1994, the original Neon was engineered to rival every car in its class in its nearly every way. The first-generation Neon model was available as a four-door sedan or a two-door coupe. The first generation Neon was available in Highline and Sport trims. The coupe model was dropped, and by 1998, Highline, Expresso, Sport, ACR and RT versions all became quite popular. The second generation of Neon was launched in the year 2000. The second generation Neon brought refinement, more space and improved wheel base and overall dimensions. It was available only in 4-door Sedan form. The second generation was sold with a 2 liter engine in most markets which had power output of 132 hp. Over the generations the Neon also witnessed a few facelifts and tweaks to its design. Chrysler ceased production of Neon in 2005, after a two-generation, nearly thirteen-year run.